The Regional Emergency Medical Services Authority was given $9.9 million by the federal government to create a program that, among other features, will give patients the option of going to an urgent care instead of an emergency room. The program announced Wednesday is projected to save the region $10.5 million in health care costs over the next three years and will create 22 jobs. The regional ambulance provider was one of 107 organizations around the country, including hospitals and clinics, that were awarded the money by the U.S. Department of Health and Human Services. The department received more than 3,700 applications for the nearly $1 billion program, according to REMSA officials. » To help determine the best way to treat a patient, REMSA will launch a “triage system” to help patients determine the best way to treat an injury or ailment. This will be managed by a nurse located in REMSA’s 911 center and will be available by a special hotline phone number. 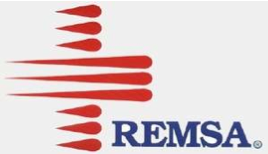 » Right now, REMSA crews must take patients to emergency rooms in order to be compensated. Under this new program, they will be able to give patients an option to go to an urgent care or doctor’s office, depending on the severity of the injury. REMSA will receive compensation when crews deliver patients to urgent care for less-severe injuries, though not as much as taking a patient to the emergency room. » REMSA will hire special paramedics to focus on preventative and at-home care, especially for patients suffering from chronic illness and those recently discharged from hospitals who may be susceptible to medical complications. These paramedics will also help with health education, home safety and injury prevention. Over the next month, REMSA will work on its operations plan, which must be approved by officials in Washington. If the program is a success over the next three years, Smith said private insurers may follow Medicare’s lead and help keep the program alive for years to come. Jobs that will be created under the new program include advanced community paramedics, communication specialists, nurses, an educator, an information technology specialist, a statistician and a project director.